HOW DOES PRIMAL PIT PASTE WORK? We're so glad you asked! Most commercial deodorants work by filling their products with ingredients like aluminum, parabens, sulfates and other harmful ingredients made in laboratories. While these often work to limit odor and wetness, THEY CAN COME AT A HIGH COST to your health because these ingredients are proven harmful to the body over time. We worked tirelessly to create a formula for an all-natural deodorant that achieved the same results as synthetic formulated deodorants. For example, our aluminum free baking soda is a powerful natural remedy to neutralizing odor-causing bacteria produced in the armpits. Organic Coconut Oil and Organic Shea Butter are potent anti-microbial agents designed to soothe your skin. In fact, our entire formula is filled with natural ingredients that work together to create a healthy solution to help you dominate bad odors from your pits. WHAT'S IN PRIMAL PIT PASTE? Ingredients include Non-Aluminum Baking Soda, Organic Shea Butter, Organic Coconut Oil, Organic Beeswax (stick), Organic Arrowroot Powder, Natural Essential Oils (scented only), and Non-GMO Vitamin E derived from 100% Sunflowers. HOW TO USE (STICK): Hold against the skin for a few moments to allow your body heat to soften the product before swiping it onto the skin. 2-3 swipes on each pit should do the trick! Allow deodorant to absorb before dressing. Adjust the number of swipes based on your body's response. HOW TO USE (JAR): Just a dab'll do ya! Scoop out a pea-sized amount on your finger tips and gently rub under each arm. Wait a few minutes for Primal Pit Paste to absorb before dressing. Adjust the amount applied based on your body's response to Primal Pit Paste. ONLY USE OFFICIAL PRIMAL PRODUCTS: You will receive our freshest-made products when you buy from P3 Pure, LLC. We recommend buying only from the official source to ensure authenticity and quality. SMELL GREAT ALL DAY LONG with our perfect blend of all natural ingredients. 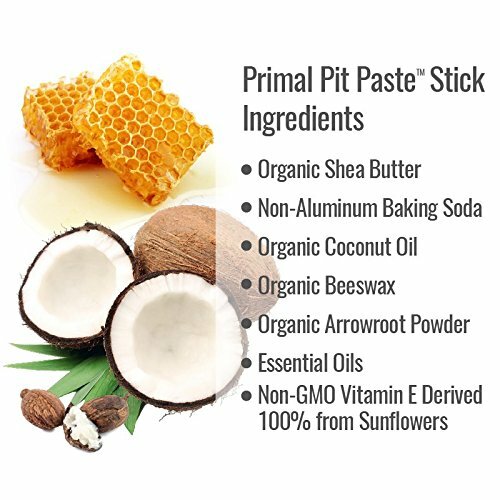 Primal Pit Paste works with your body to neutralize odor-causing bacteria and help you FEEL GREAT at work, play and rest. Our Lavender scent is derived from all natural essential oils for a soft, floral aroma. ABSOLUTELY & ALWAYS ALL-NATURAL INGREDIENTS - Organic Shea Butter, Non-Aluminum Baking Soda, Organic Coconut Oil, Organic Beeswax, Organic Arrowroot Powder, Lavender Essential Oil, Non-GMO Vitamin E (sourced 100% from sunflowers). This stuff is so good your pits are practically begging to go primal. Now with added Candelilla wax for upgraded heat and hot temperature stability. NO BAD ACTORS ALLOWED in Primal Pit Paste products. Just like our jars and lip balm, our convenient go anywhere stick is aluminum free, paraben free, toxin free, chemical free, and propylene-glycol free. 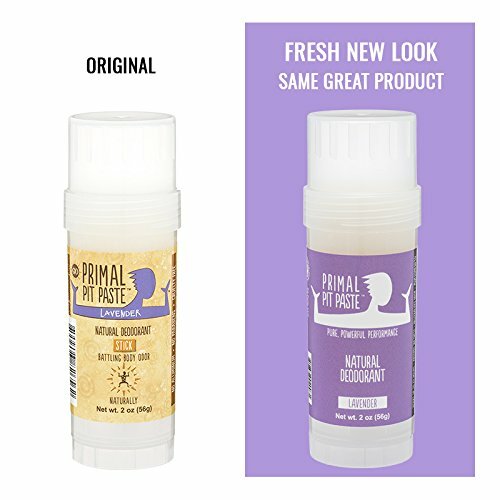 Primal is cruelty free, and earth friendly. Everything in our product is safe for you and the earth. Yeah, we think it's pretty awesome too! MANUFACTURED WITH CARE IN THE USA. Every stick, jar, and lip balm are made in our facility located in beautiful Austin, Texas. Our deodorant stick is packaged in BPA Free tubes, which means it's recyclable and better for the earth and environment. 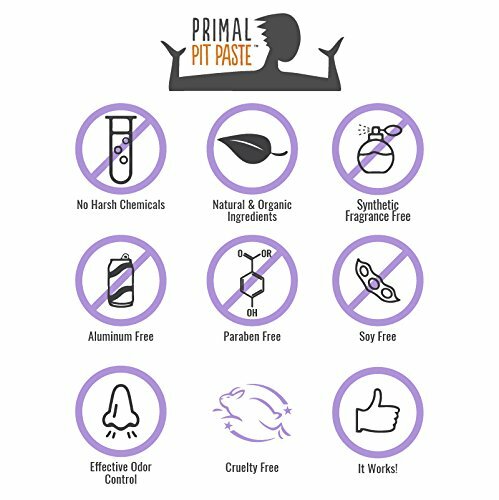 WHO IS PRIMAL PIT PASTE: A friend to your body, we are a small business made up of people completely committed to creating personal care products that offer safe, natural alternatives to the chemical and toxin laden products manufactured in laboratories by big pharma and their offspring. We'd love to get to know you. If you have any questions about this product by Primal Pit Paste, contact us by completing and submitting the form below. If you are looking for a specif part number, please include it with your message.